Percussions stronger chaps come designed as an over-trouser and are designed to take a beating. 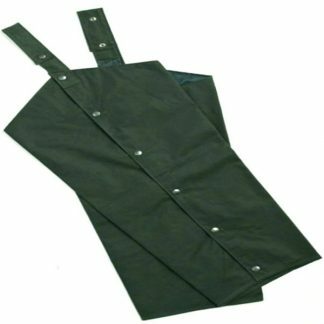 Fully waterproof and breathable there great for rough shooting and beating. Choose a sizeSize 1 (30-32")Size 2 (34-36")Size 3 (36-38")Size 4 (38-40")Size 5 (40-44)"
Very resistant fabric – 900D. Access slits to under trousers.